Click on this graphic to visit CU Succeed's Claim Your Youth website. Do you have a question on a financial topic or need a little help learning to manage your money? 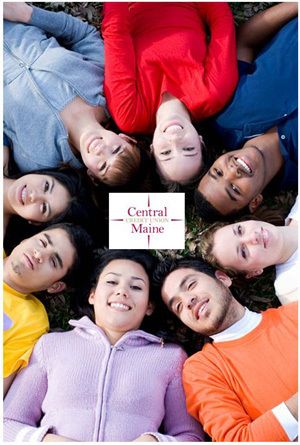 Call or come by Central Maine Credit Union. We'll be glad to help! We hope you enjoy browsing through this website. Besides information on a wide variety of topics, you'll also find interactive financial calculators, original teen-written articles, and links to other helpful websites. When members of our Monty Moose Program turn 13, we transfer their savings balance to our Money Market Account. account between ages 13 - 17. AnyTime Access Online Banking & e-Statements.